SXSW Panel Audio: You Are Not A Publicist - Criticism Vs. Advertising | Birth.Movies.Death. 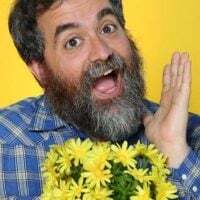 Badass Digest’s own Devin Faraci joined Neil Miller, Todd Gilchrist and some other people to have a panel discussion about being a good film blogger. We live in an era when online critics are often swayed in their opinions by swag, trips, and favors from studio representatives. Yet the goal of a true critic is to honestly examine a film, not attempt to curry favor with a corporation. This panel will examine what it takes to stay honest in a digital world, from disclosure of sponsorships to a constant effort to remain separate from studios. I’m not entirely certain that we stayed within the boundaries of this discussion, but I think there was some good talkin’ going on. Neil Miller of Film School Rejects moderated, while esteemed film critic Todd Gilchrist, Daniel Carlson of Pajiba and Marjorie Baumgarten of the Austin Chronicle shared the stage. You can listen to the whole durn thing by simply clicking here. It’s around an hour long and there’s a lot of bits where people get a little contentious with me. I tried to be nice. There’s swearing. All of it from me, I think.